For the month of August I decided to take on the Whole 30 challenge. I am going to write about my experience each week. But first, let’s talk about why I’m doing it. I’m the type of person who always thought resets/detoxes, or anything of that sort is kinda a waste of time, and could be problematic, leading to bingeing or food restriction issues. I also thought that a program without grains, or legumes was just down right crazy!! I mean, when I followed a vegan lifestyle they were two of my pantry staples. But a couple of months ago my mom heard about the W30 through close friends, and figured I’d love it because I enjoy all things nutrition- related. 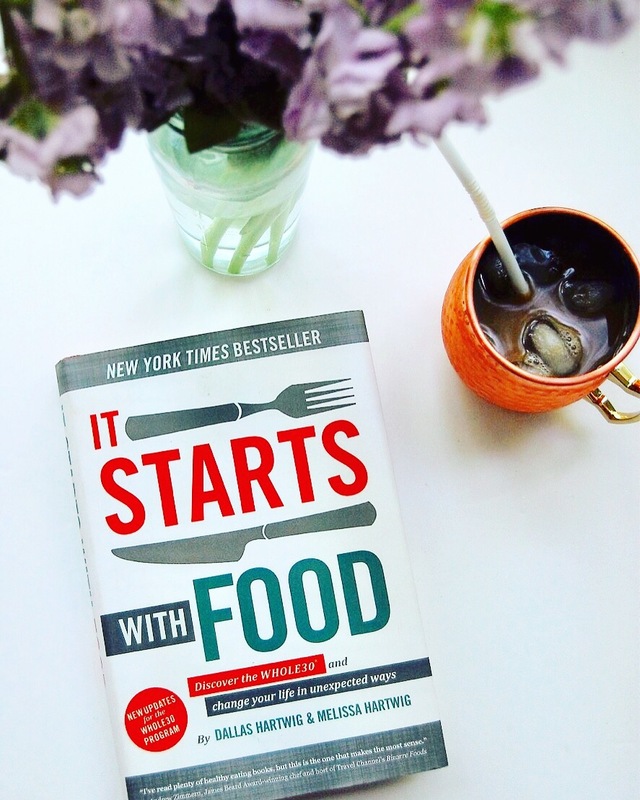 She bought me the book ‘It Starts With Food,’ as a surprise, and I pushed my hesitations to the side, and began reading. The W30 program essentially cuts out all sugar, processed foods, soy, alcohol, grains, legumes, and dairy. Therefore, you eat a diet rich in vegetables, fruit, meats, egg, seafood, and healthy fats. In my opinion, one of the biggest critics of the W30 program is the no grains and legumes policy. I have to admit, when I first heard it I thought it was bogus also. But, when you actually give the program a chance you learn exactly why that is so, and the science behind it. I’m going to talk about it briefly, in layman’s terms. Why can’t you eat grains? A lot of people know the issue of eating refined grains, but whole grains can be problematic as well. Whole grains are known for their high fiber content. However, when you compare it to fruits and vegetables they are far from nutrient- dense, and provide more than 3x the sugar and sodium, less fiber, potassium, magnesium, iron, zinc, and vitamins. Another huge problem is that many of the minerals in grains are not accessible to the body. This is because of the anti-nutrients “phytates.” They grab hold of minerals, and create an insoluble, indigestible complex, thus making the nutrients from the grains unable to be absorbed by the body. Another huge reason grains are a no-no is because of the problematic proteins found in them. Which we’re not new to this info- haven’t we all heard of gluten intolerance or celiac? One of the groups of proteins in grains is called prolamins. Gluten is partly made up of prolamins. So people think just make food gluten-free, but it’s not that simple. Non-gluten grains (corn, oat), still contain different prolamins, which can arise a similar irritation in the body. To sum it up, grains cause inflammation in the gut, and when frequently consumed, leads into systematic inflammation, thus provoking a silent immune response elsewhere in the body. Why can’t you eat legumes? 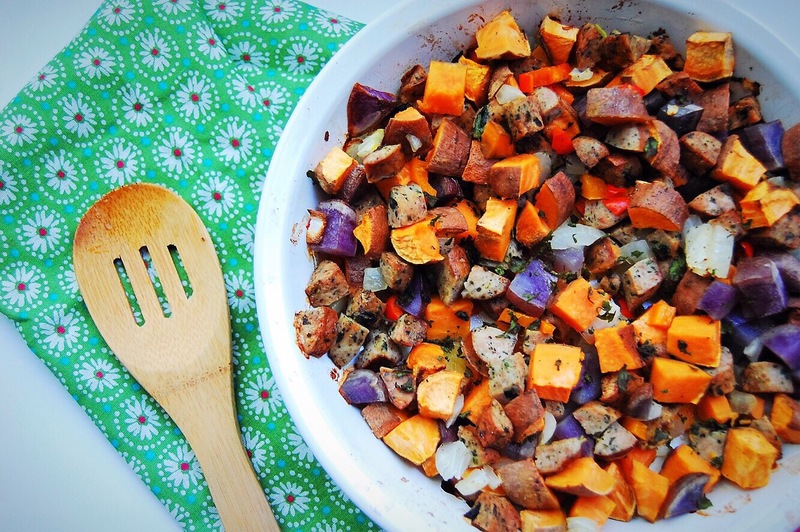 Similar to grains, legumes are known for their high fiber, high protein content. However, in actual reality they aren’t a dense protein source. They contain 2-3 times the amount of carbohydrates as protein, making them more carbohydrate dense. Compared to protein found in meat, eggs, and seafood they are not as dense or complete. When compared to fruits and vegetables, they measure up poorly in terms of micronutrients and fiber. Legumes also contain phytates, which make the nutrient unavailable to our bodies. And a big reason they aren’t recommended is because of the short- chain carbohydrates (sugars), found in them. Haven’t we all heard “beans, beans the magical fruit, the more you eat the more you toot.” That is because of those short-chain carbs. They aren’t properly absorbed in the small intestine, and can act as food for bacteria in the small and large intestine. The bacteria then ferments and the carbohydrates, called galactans, create unpleasant symptoms, such as gas and bloating. So in conclusion, I hope this helps clear up confusion with the Whole30 program, and encourages more people to be open to trying it. It is not about losing weight. It is about creating healthy digestive, immune, and hormonal health, and establishing a healthy relationship with food. I hope you all enjoy reading my experience on the W30! Previous Post What is Bulletproof Coffee? This is the first time I am hearing the other side of legumes and beans. And it is true that I go nuts on beans and it is also true that it does make me bloated. I think I need to start an experiment on this one. Thanks! You should! Like myself, you’ll probably benefit from it. I’m glad I could share this new info with you!